The Sacred Fire came a year after Nicholas Gunn’s promising debut album Afternoon in Sedona (1993). Continuing his relationship with recording label Real Music, Gunn produced a follow-up that would chart his quick rise to fame. 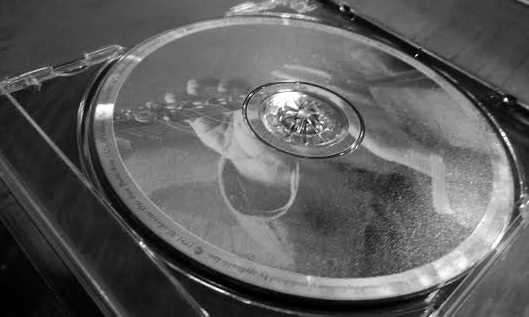 He would then cement his reputation with possibly his most famous album The Music of the Grand Canyon (1995). The Sacred Fire was quite simply a make-or-break album for Gunn, and he didn’t disappoint. True to his style, a kind of energetic Midwestern style characterized by soaring flutes and heavy percussion, The Sacred Fire was probably a breath of fresh air back in the early 1990s. Never had a flutist taken on new age music in such a commanding way as Gunn (not even Ron Korb), giving us textured compositions that are imbued with a sense of adventure, of wanting to explore places and peoples, of journeying through the natural if rustic American landscape. The fifteen tracks are diverse, with numerous accompanying instruments used, particularly the guitar and electronic keyboards. But Gunn’s flute often leads the way, always driving the melodies forward, always in search of new musical arrangements. Tracks like ‘Odessa’, ‘Waking Hour’ and ‘Ritual’ are vibrant and forceful, but Gunn also finds tenderness in quieter tracks like ‘Midnight Hour’. 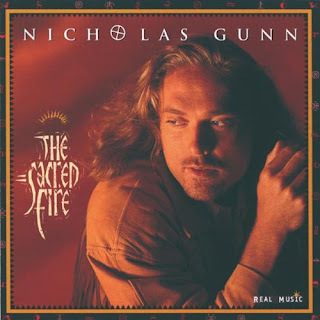 The Sacred Fire is a pretty good introduction to the music of Gunn. ‘Earth Story’ – The first track opens with a beautiful melody on flute, which is then accompanied by the nylon acoustic guitar. The background of rhythmic percussion, such a hallmark of Gunn’s ‘journeyistic’ style, gives the music a sense of movement. It gives us images of adventurous travel, as we journey from one place to another. ‘The Sacred Fire’ – A track with a slightly slower tempo, but no less mesmerizing. Gunn plays both leading and accompanying flute, both layered beautifully. He also lends his voice quite masterfully. What sets this track apart is the use of cello, providing emotional warmth to a piece that feels like a long trek back home as you hold a fire torch in the deep of night. You are out in the open, yet you feel safe. My favourite track. ‘Ruby Forest’ – With a mix of synthesizers, flutes and percussion, Gunn gives us an aural image of a forest filled with an assortment of colourful plants and little scurrying animals. It is a forest of serenity and harmony. And the air is so fresh.